The Supreme Court has delivered the important judgment in Civil Appeal No. 6041 of 2013 in Securities and Exchange Board of India vs. M/s. Akshya Infrastructure Pvt. Ltd., settling the position regarding India Inc's responsibility to open offers. A Supreme Court Bench of Justices SS Nijjar and AK Sikri while dealing with the fundamental issue that whether an open offer voluntarily made through a Public Announcement for purchase of shares of the target company can be permitted to be withdrawn at a time when the voluntary open offer has become uneconomical to be performed, has ruled that corporates will not be allowed to withdraw open offers on grounds that the offer has become uneconomical or lacks commercial reasonableness. The Apex Court further held that any delay by the market regulator SEBI in replying to open offer applications couldn’t be cited by corporates to back out of open offers. According to the Court, if permission is granted to withdraw, it would give a field day to unscrupulous elements in the securities market to make Public Announcement for acquiring shares in the Target Company, knowing perfectly well that they can pull out when the prices of the shares have been inflated, due to the public offer. 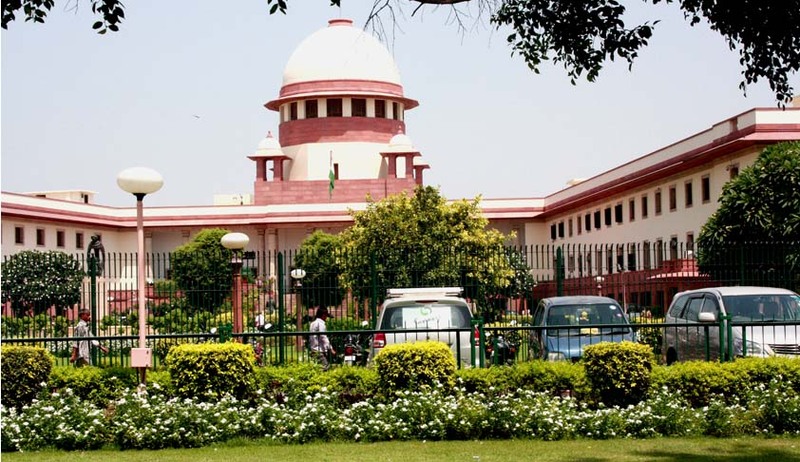 The Apex Court bench was hearing a statutory appeal under Section 15Z of the Securities and Exchange Board of India Act, 1992 which was directed against the judgment and final order of the Securities Appellate Tribunal, Mumbai (SAT) delivered on dated 19June, 2013 in Appeal No.3 of 2013, by which the appeal filed by M/s. Akshya Infrastructure Private Limited against the directions issued by SEBI on 30November, 2012 was allowed. Mr. C.U. Singh, senior counsel appeared for the Appellant whereas Mr. R.F. Nariman, senior counsel represented the Respondent. The Bench did not accept the distinction with regard to voluntary open offer and mandatory open offer which was the result of a triggered acquisition, stating that the results of both kinds of offers to acquire shares in the Target Company, at a particular price, were the same. It said the Board will have to consider the withdrawal of the open offer in terms of Regulation 27(1)(b)(c) and (d). The Bench opined that the removal of Regulation 27(1)(a) did not progress the case of the Respondent, in fact it supported the conclusion that an open offer once made can only bewithdrawn in circumstances stipulated under Regulation 27(1)(b)(c) and (d). The Court rejected the submission of the Company that the judgment in Nirma Industries needs to be reconsidered.According to the Court the ejusdem generis principle is fully applicable for the interpretation of Regulation 27(1)(b)(c) and (d) as there is a common genus of impossibility. The impossibility envisioned under the regulation would not include a contingency where voluntary open offer once made can be permitted to be withdrawn on the ground that it has now become economically unviable. While allowing SEBI’s appeal, the Bench stated that it did not support the approach adopted by SAT in adopting the Issue of Capital and Disclosure Requirements Regulations, 2009 (ICDR) Regulation for interpreting the provisions contained in Regulation 27 of the Takeover Regulations. It stated that the regulations in Takeover Code have to be construed by correlating these regulations to the provisions of the SEBI Act. Akshya Infra is part of the promoter group of Marg Limited and had breached the 5% creeping acquisition limit in the target company Marg Limited in years 2006-07, 2007-08 and 2010-11. On 20th October 2011,Akshya announced a voluntary open offer wherein the public shareholders of Marg Limited were given an opportunity to exit at an offer price of rupees 91/share. But on 29th March 2012, Akshya Infra alleged groundless delay by SEBI in approving the draft letter of offer and sought to withdraw the open offer. The claim of the company was that the regulator's delay had rendered the complete open offer exercise worthless and that the offer lacked economic reasoning and commercial reasonableness. SEBI found that that allowing Akshya Infra to withdraw the public offer would be damaging to the overall interest of the shareholders.